Percentage of Multiples vs Indepdendent retailers in Moffat. Source LDO. 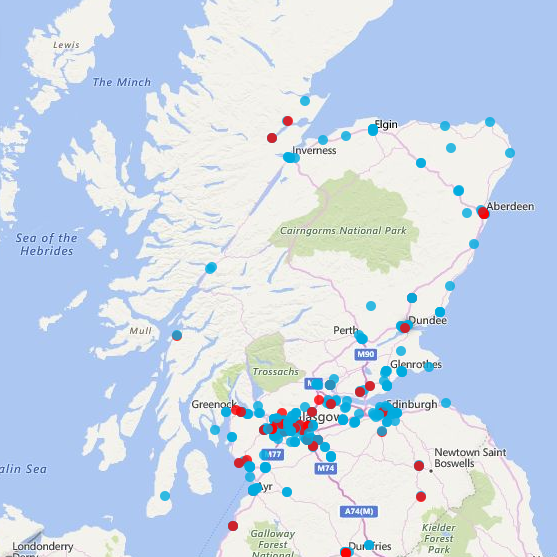 Distribution of discount retailers across Scotland. Source LDO.